Are you looking for something more? 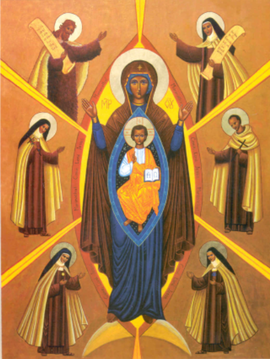 Have you considered Carmelite Spirituality? Our aim is to focus on deepening our relationship with Jesus Christ under the inspiration of our two principal patrons - Our Mother, Mary of Mount Carmel and the great Old Testament prophet Elijah, as well as all the other Saints of the Carmelite family. The Redditch Carmelite Spirituality Group is ecumenical and as such is open to Catholic and non-Catholics alike, to young adults and the not-so young! No commitment is required and all are welcome. The Group was formally Established on Saturday 16th January 2016 (see details below). The Carmelite Spirituality Group (CSG) meets in the Parish Centre for prayer, formation in the Carmelite tradition, lectio divina (meditation on Holy Scripture) and for fellowship on the Third Saturdays of the Month (January to December) beginning at 11:15am. The prayer meeting ends with a shared lunch that starts at 1:45pm. Tea/coffee and biscuits are also served. For further details see the poster below. Carmel is a worldwide religious family that first came to Britain in 1242. Carmelites seek to be contemplatives, friends with God, who form praying communities at the service of all God's people. In essence the reality which is "Carmel" has little to do with a specific way of doing things but the intimate encounter between a person and God in the ordinariness of life. 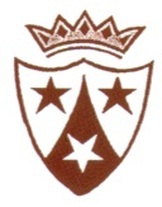 To find out more about the Carmelite Way visit the website: British Carmelite Province where there is also a section on Lay Carmelites. The day dawned frosty and bright on Saturday 16th January 2016, which was a blessing for all those attending the Establishment Mass at Our Lady of Mount Carmel in Redditch, Worcestershire. The Carmelite family extends far and wide and people came from York and Manchester, as well as the Midlands and Redditch. The seed was sown in January 2015 when a parishioner from Our Lady of Mount Carmel, Caroline Holland, completed her formation and underwent her final profession as a Lay Carmelite in the Third Order at Saint Chad’s Cathedral, Birmingham. A conversation between Father David Doran, curate at OLMC, and John Berry, Delegate to Third Order Lay Carmel of the British Province, resulted in an invitation to present a “Come and See” Day in Redditch. This event was an opportunity for people to learn about Carmelite Spirituality which had developed as part of the celebration of the 5th Centenary of the birth of Saint Teresa of Avila, the great Spanish Carmelite reformer. Following on from the “Come and See” Day a series of monthly meetings was organised to take place in the parish centre in Redditch. Each meeting consisted of a talk, given by an invited speaker on a topic of Carmelite interest, followed by Lectio Divina, and Evening prayer, finishing with a shared lunch. These meetings were so enjoyed by the attendees that the decision was taken to establish the group formally, and this is the event that occurred on Saturday 16th January. Father David Doran was the principal celebrant of the Mass which was concelebrated by Father Denis Labartette IC who has ongoing links with the parish. The prophet Elijah and Saint Euphrasia Eluvathingal of the Sacred Heart have been chosen as patrons of the group. The latter is a Carmelite sister from Kerala in India who is revered by the large and vibrant Keralan community in the parish. Acolytes Daniel and David Mundackal from the Keralan Community served at the Mass with Susan Salam who is assistant to the chief convener of the group, Caroline Holland. During the Mass the Establishment Letter from Father Anthony Lester O.Carm, Prior Provincial of the Carmelite Order in Britain was read out. Sadly he was unable to attend due to the recent deaths of 2 Carmelite friars. John Berry, the Provincial’s delegate stood in for him and was kind enough to deliver votes of thanks to all those who contributed to the celebration. This included the choir of OLMC ably lead by the Parish Choir Master. Their rendition of the Latin chant Flos Carmeli, as well as the other Latin chants and hymns was most uplifting. After the Mass the company convened to the parish centre for a luncheon reception.